A new high-tech supermarket has opened in Shenzhen, China. The store is owned by retail conglomerate Walmart and utilises its store on ecommerce platform JD Daojia (an affiliate of JD.com) to process sales. Typically known for its hypermarket stores, this new concept is much smaller than the typical Walmart outlet and houses around 8,000 items. Reuters reported that Walmart is looking to target more online shoppers who’s purchasing value doubles when shopping online vs instore at Walmart. The store stocks a variety of items including fresh fruit, which can be paid for via smartphone using a program on WeChat and delivered within a 2-kilometre radius as quickly as 29 minutes. Typically, Walmart stores run at around 9,800 square meters, but the smaller store has been trialled in the past in the US, with a run of Walmart Express stores around 1,100-1,400 square meters. The stores were closed in 2016 due to lack of popularity, but a shift in target markets could be key to its success. The company did not respond in time to Reuters when asked to comment on the size of the new store, but in March, had said they would be expanding grocery home deliveries in key markets. 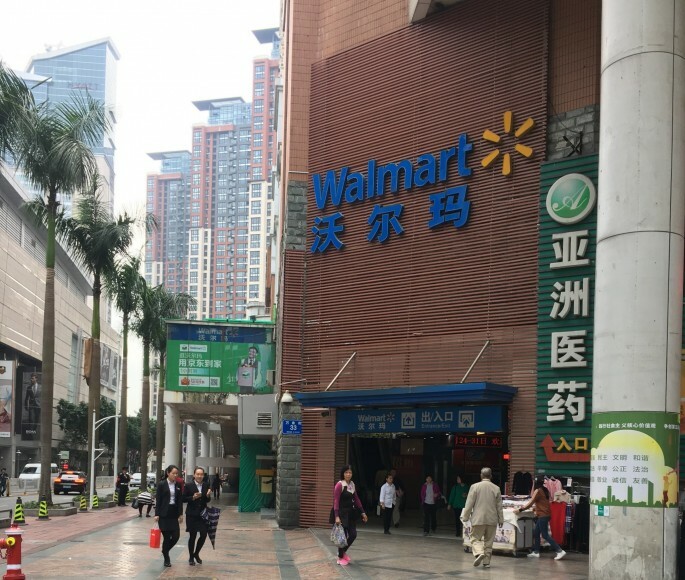 This article was updated on 9 April to include reference to JD Daojia, which was mistakenly referred to as JD.com in Walmart's original press release.